The Lord & Taylor building on Fifth Avenue in Manhattan stands as a monument to old-school retail for over a century, with an elegant Italian Renaissance design and an opulent entrance arch that is instantly recognizable. 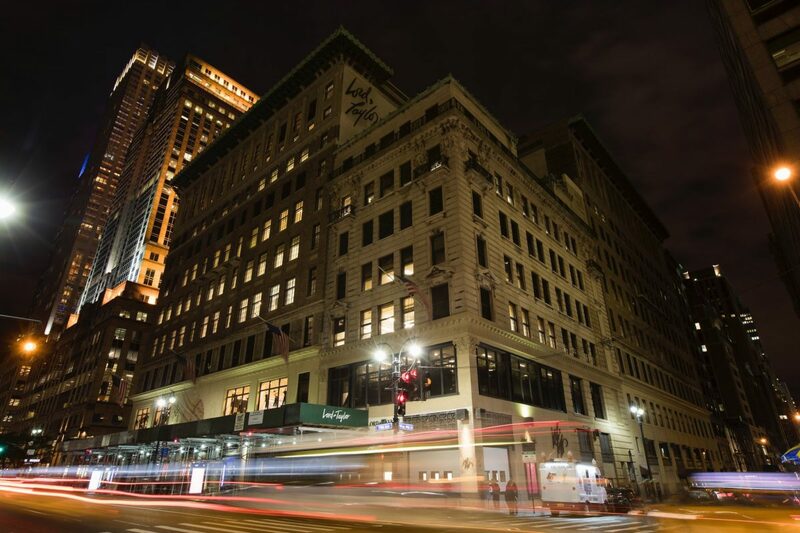 Recently, the retailer announced that Lord & Taylor and its parent company, Hudson’s Bay Company, are selling the flagship space to make room for the new global headquarters of WeWork, a 7-year-old office space startup. Starting after Christmas next year, less than a quarter of the space will be devoted to Lord & Taylor, which will be renting the bottom floors of the building. This is greatly indicative of the pressures facing the retail industry, as consumers are changing the ways they shop. More and more, people are shopping online and spending less time in stores, forcing retailers to change the way they use their physical spaces. Movie theaters, aquariums and rock walls are all taking up residence in shopping malls all over, while many retail spaces end up vacant. Selling an upscale retail space is a tricky process. The reality is that these huge physical shopping spaces are worth more in terms of office space, but when a large company like this is is toeing the line between selling a lucrative property or holding on the historical building for which they’re known, it can deal a huge blow to the brand identity of the retailer. These historic buildings have become an integral part of the brands they’re associated with, and it can be hard to separate the brand from the structure. 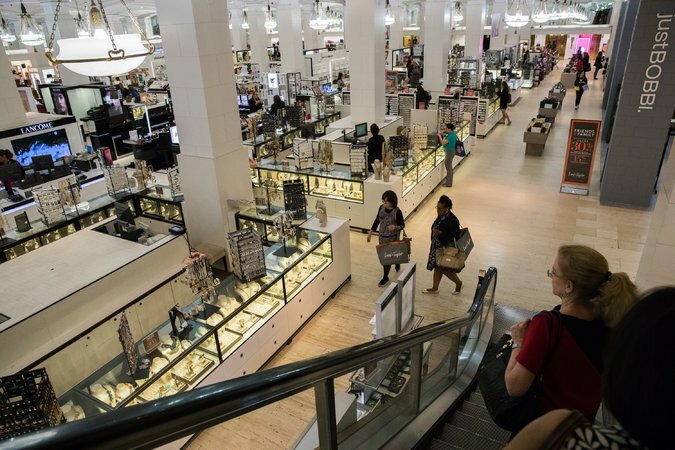 While a store like Macy’s has closed dozens of its stores in the past year, they’ve managed to hold onto the flagship on 34th Street in Manhattan. As far as WeWork is concerned, this is nothing but good news. 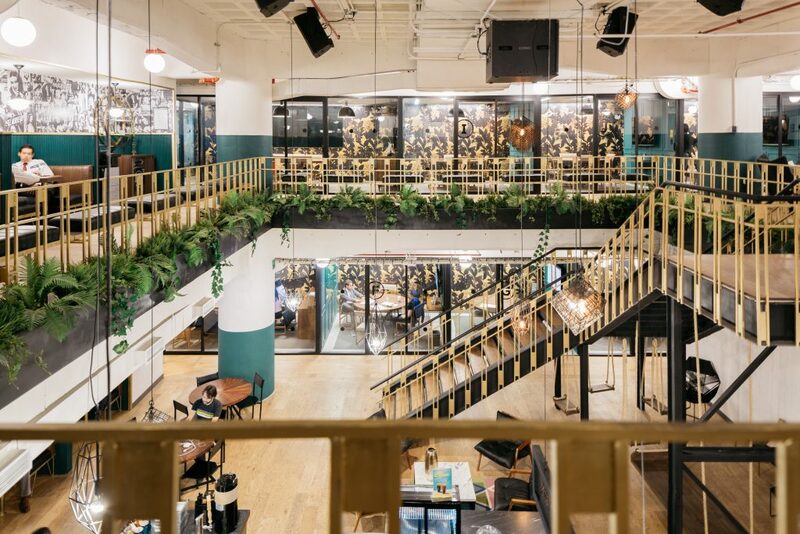 WeWork considers itself as a company that reinvents the workspace, as it purchases buildings and converts them into shared office spaces. “This partnership places H.B.C. at the forefront of dynamic trends reshaping the way current and future generations live, work and shop: the sharing economy and urban and suburban mixed-use real estate planning,” Richard Baker, a veteran real estate investor and interim chief executive of Hudson’s Bay Company, said in a statement. WeWork’s partner, Rhône Capital, is investing $500 million in Hudson’s Bay, which WeWork will eventually take over. As the luxury real estate market continues to change, our realtors must be prepared to change as well. With the Institute of Luxury Home Marketing, you can learn the ins and outs of the market from proven professionals with hands-on experience. When consumers are searching for homes, or office spaces, in increasingly different ways, real estate agents need to be able to adjust and adapt to the changing times. As a member of the Institute, you can prove to your clients that you have the experience to find the space they need at the price they need it. With the instruction of the Institute behind you, you can apply the training found in these courses to your markets back home. Add the level of professionalism that your companies need to stay relevant. Learn more about joining The Institute today.